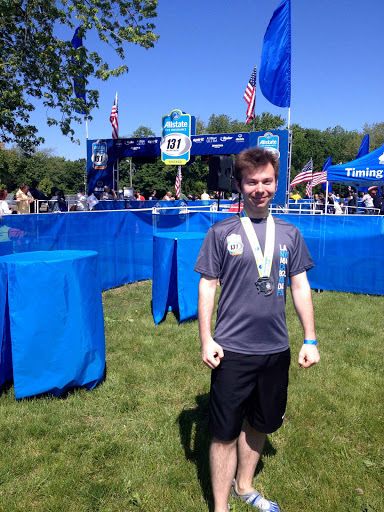 This was probably my favorite race experience yet, and I have had quite a few amazing races in the past year! 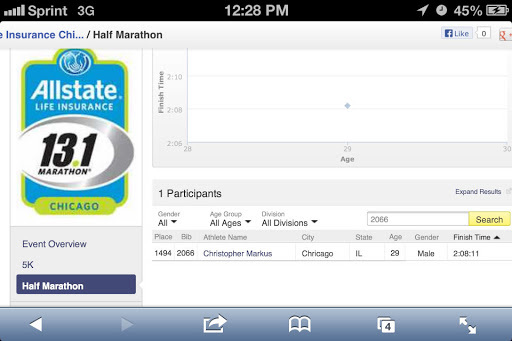 Full disclosure, I ran this race with my friend Eric and we are both Allstate employees. This being said, I got to take full advantage of the VIP perks of this at the race for the first time. 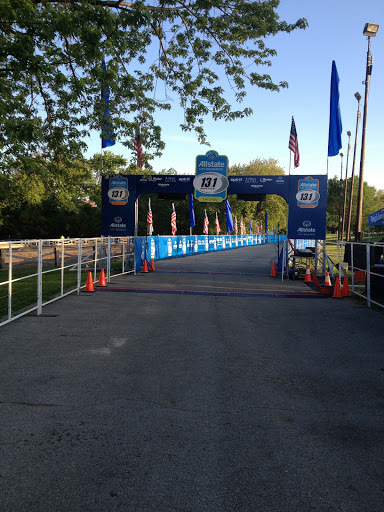 VIP tent with private ‘bathrooms’, VIP gear check, Pre/Post race food (bagels with peanut butter and jelly! bananas, fruit, sandwiches, eventually boxes of luminati’s pizza (I’m not always the purest ‘vegan’ in the world, perhaps I’ll bore you with my thoughts on this in a later post), water, Gatorade, etc). A ‘personal’ (meaning for the smallish group of people in the VIP area) masseuse. They even gave us free flip-flops to change into after the race (I grabbed some for the beach but my Vibram’s and I have made it through a lot together and so we did not part until I got home that afternoon, showered, and slept. I wanted to make sure I got to bed on time so I could wake up and meet outside Eric’s place at 5:15 the next morning so we could head to his car and travel down to the high school parking lot where we had reserved parking and a shuttle to the start line (yup, so spoiled I don’t think I’ll be able to run a regular race again) ;-P In order to ensure I would do this, and because I wasn’t going to go out and drink or anything the night before a race anyway, I decided not to go out that night. Instead I stayed in and made the mistake of logging on to Steam for the first time in a few months to kill some time before I could catch an 8:30-9PM bed time to be awake again at 4:30 AM. I could have played anything and been done at a reasonable time, instead I once again entered the world of Skyrim. This Dovahkiin did not manage to go to bed until almost midnight (alright, it was more like 11:30 but still…) on the night before my first half. All these weeks training and I was going to be burned out not because I had slacked off in training but instead because I was too anxious to sleep and filled these restless hours within the realm of Skyrim. 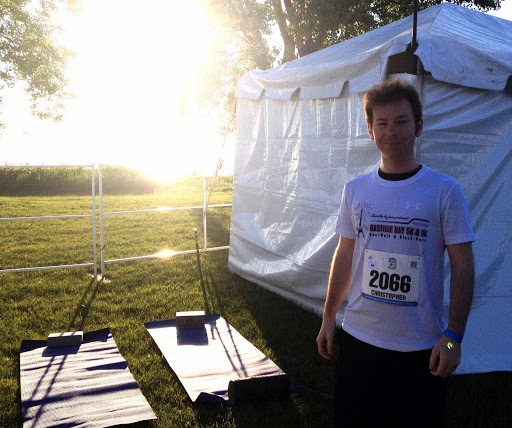 I used to be a runner like you, until I waited in a starting corral for half an hour and really needed to pee. Before Eric and I met up with some of the other Chicago Running Bloggers we hung out for a bit to enjoy the sights of the remnants of the sunrise over the beach, snapped a few pictures that we could be envious of during races to come, and I guzzled some water and a bottle of Gatorade (figured I could use some sugar to start the morning if I wasn’t going to have coffee just yet). 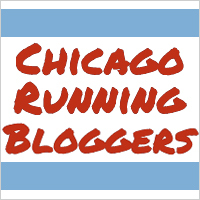 We said hello to everyone from the Chicago Running Bloggers and before we knew it, it was time to find our places in our individual corrals. I managed to run off to use our ‘private bathrooms’ quickly as I figured I would be in the corrals a while before my wave was released (I was back in Corral M standing next to the 2:30 pacer, who as it turns out, was an older gentleman who had just run a 100 mile race the Saturday before! (This apparently takes about 28 hours including a little rest). Hearing some of what this man has done (so far!) makes me want to run just a little bit farther and a little more often, simply because I am lucky enough to be able to do so. Really glad I got to start in the Corral where I did, just to hear a couple of this guy’s stories. Also, it again took my mind off needing to pee ever since they released corral D. Two minutes between waves… I can make it. Time flies faster than it ever has while waiting in a corral. I’m not sure if it was the stories, the excitement of my first half, a well-organized race, or some combination thereof, but before I knew it I was at the front of the starting line for wave ‘M’ and the announcer was counting down from ten. I wanted to start off faster than I should, just like I always seem to. Focus. I slowed my pace knowing that I would be excited from the race and also that it was a hotter day (still nice out though but direct sunlight for the duration has a surprising effect that I couldn’t know until I experienced it). Still, I had heard about it from my friends who had run Half’s before and so that helped immensely as I paced myself out of the gate and began my run. 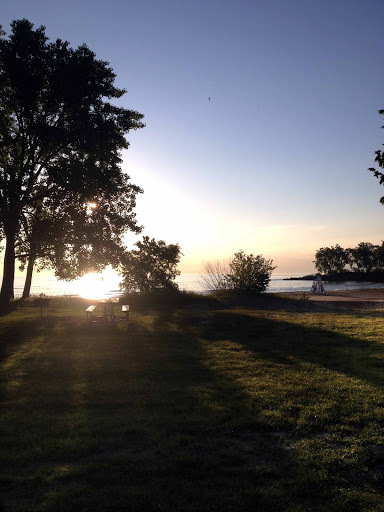 As I ran, I figured that as my body used water I would eventually need a bathroom less and less. As I passed the first water station I saw bathrooms lined up, but a voice in my head echoed the advice of a Fremen to an Atreides that ‘the best place to conserve water is in your body’. Generally this is true in my experience and so I kept going past the ‘bathrooms’ and along down the trail. Unfortunately I found that there are limits to this wisdom. Apparently after you have reached a certain point, Nature becomes a telemarketer at dinnertime and refuses to give up calling. After making it to a little past mile three, I stopped at the ‘bathrooms’ near the water station quickly, grabbed some more water to make up for what I had just expelled, and was on my way. Relief. Comfort. I ran a frustrating 5K and was now feeling wonderful again! The wind felt good on my face. I kept pace with a girl who was in the starting corral with me for quite some time, but lost her for a bit after my brief pit stop at the water station near mile three. I caught sight of her again about a half mile later and closed the distance before resuming a /follow pace. This is how I typically pace, both during races where I am trying to maintain a constant pace or during training when trying to push myself to a slightly higher level than I think I can reach by pacing with someone who runs near my level but has just a few more XP. I checked the time at mile markers to make sure the pace she had set was not too fast or too slow from my usual training pace and found that it was perfect! Not too fast where I would lose her immediately, but still fast enough to push myself just a few levels faster than I would have run (for that distance) in training. I felt great doing this for another three miles or so before I started feeling the heat. My pacing girl took off out of sight once more and I took it down a notch for a distance. On the advice of Eric, since I had no chew/gels/etc. I would need something besides water to keep the calories/energy etc. up and so I alternated Water and Gatorade at every other water station. I didn’t stop at every water station (though I probably should have, but I wanted to make up for my brief pit stop and you never really seem to feel dehydration until it’s nearly too late it seems). At this point, I made a note to stop more regularly. Mile seven water station was manned by a bunch of French students/citizens/people-who-know-French, and each time I passed them the only English they seemed to speak were the words: ‘Water’, ‘Gatorade’, and ‘Hello beautiful ladies, welcome to the French aid Station!’ I also happened to be running in my Bastille Day race shirt during the Half which they loved. This also happens to be another one of my next races coming up! I made the turn at mile seven! I am halfway there and I don’t even really feel drained yet! Sure, the sun was out, but it wasn’t 85 degrees like it was last year. I was feeling pretty decent. I decided to run in the new, correctly sized, Vibrams that I was debating running in after acquiring them only two weeks before the race. After running ten miles in them the week before (10K of which being a race which I did fairly well on) I figured it would be worth it to run the Half in my new kicks. Good call. My feet, legs, etc. felt as lovely during the entire experience (thank you good training and comfy shoes!). Even after the race, I love the feeling of those little foot-hugging shoes on my feet that I didn’t even feel the need to peel them off and slap on my free flip-flops. They really make the terrain feel more real when you run. I love interacting with and paying attention to the surface over which I am navigating. As I circled back from the mile seven turn around, around mile eight I passed my original 2:30 pacer friend and the group pacing with him. Around mile nine I found my original pacer girl as she had slowed to a walk. I continued on. About halfway through mile 11 I found a girl in yellow shorts that was running much faster than I should but about as fast as I wanted. 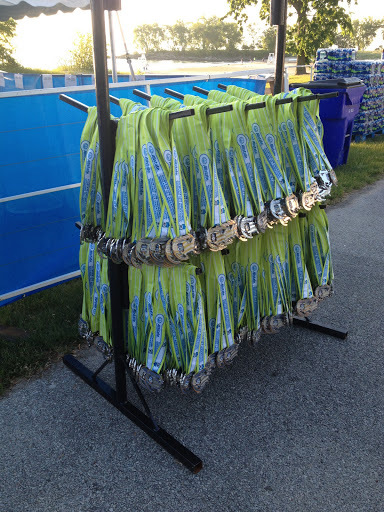 My mind figured that I had less than a 5K left and that it was alright to run at 5K race pace (yeah…). My body was not asked for its thoughts on the matter and my legs moved to follow the girl in the yellow shorts. She was clearly going to out run me, but I wanted to know how long I could keep up while still having enough energy to sprint to the finish. About halfway through mile 12 I realized that I could either keep up with her, or save enough gas to push it across the finish. I decided to pull back a bit so as not to quite fall back to a reasonable speed, but still fast enough so as she pulled farther ahead it would be at slow and hardly noticeable intervals. I kept sight of her until she made the turn into the South Shore Cultural Center. In the meantime, I found myself pacing with to women a couple years younger than myself perhaps, one was trying to steadily push to the finish, similar to what I would have been doing had I tried to keep pace with Yellow Shorts for much longer, and the other looked like she was chomping at the bit to take off and finish strong. I tried to pace with the second of the two. She had pulled a bit in front of her friend as she called back inspiring words to her, hoping to cheer some extra energy into her friends legs that would help them both skip across the finish. After we made the turn into the Cultural Center ourselves, her friend found the extra boost she needed from her personal Cheer Leading Runner friend (good blogger name?) and the crowd and I kept pace with them until the turn just before the final turn. Here I kicked on whatever Nitrous I had left and dashed crossed the finish line, all smiles and feeling very accomplished. After that running high, I am going to need to seek out a Method-One acting clinic. Gearcheck/Waves and Corrals. – Gear check was available and there was added security as it was a larger race. They had clear plastic bags that you emptied the contents of you gear into so they could see what was inside before storing it away. I checked my gear at the general gear check before realizing that I had VIP gear check, so I ended up going back and un-checking my gear and re-checking it in the VIP area so I would have less to deal with after the race. Figured it would be a good call with the extra security taking more time to check gear. It seemed well organized and well-staffed though and I didn’t hear any real complaints about gear check. Checking and un-checking my gear was quick and painless. They even found my bag almost right away because of how they stored them by numbers and not just in a random pile from bibs 1000-2000 etc. Course layout – Loved it. Sunny, yes. 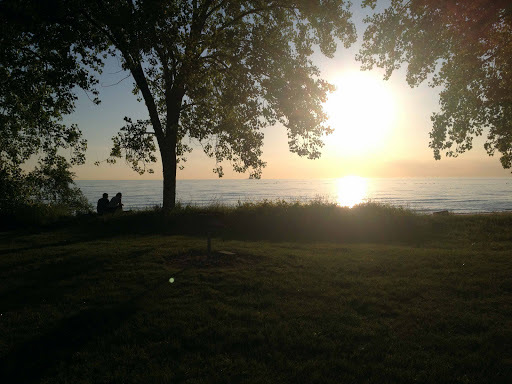 Along the lakefront, indeed. Great view, decent breeze, wonderful day. Seemed like a pretty fast course even though it was a little narrow at times but nothing too terrible. I am also pretty sure they keep it the same year after year as the map they handed up was last updated in 2010 (it says so right on it). Finish line – Finish line is great because it ends right inside the South Shore Cultural Center (apparently where President Obama got married) and there are people standing all around to watch you finish as you end the last quarter of a mile or so weaving through the cultural center grounds to the finish line. They hand you the typical banana, water, munchies as you finish, but I only grabbed the medal and headed back to the VIP area where we had our own munchies. I ate far to much pizza. We even had our own small pony keg of beer tapped over near the sandwiches. Perfect place to sit and relax as you watched others finish their personal journeys across the finish line while sipping (read: guzzling) several bottles of water and inhaling food before enjoying a beer as you kick back in a chair and chat with other around you about what they experienced during the last 13.1 miles and several hours of our lives. *Gleefully ‘covering’ lines from the wonderful Jonathan Coulton. May he forgive me. Previous Run for the Zoo Race Recap! Great job with the PR! you should have found your magical yellow shirt girl and thanked her after the race! I imagined the VIP tent having a sign with Bender from Futurama Meme saying – i'm going to make my own snack stationed with bananas and beer! Holy Moly – I hadn't realized that picking up my Packet was such a hassle. You mentioned they had issues but it never occurred to me there were THAT many issues. Thanks Again for getting my packet for me!